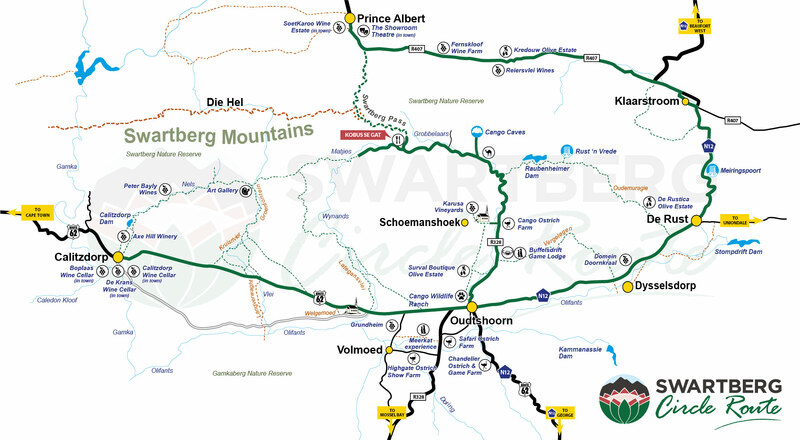 What we offer, is a complete product of different day tours of the Swartberg Mountain Pass and it’s surroundings, which includes De Rust, Prince Albert & Oudtshroorn. These tours are rounded off by traditional cuisine from the area. You can also contact us for customised options that can include hiking and mountain biking. At Kobus se Gat the guests might arrive as tourists, but they surely leave as friends. We serve our guests with passion and pride. The Swartberg Experience is not to be missed, it is truly spectacular! Our mission is to be unique, give personal service and to be people orientated. We are situated at the foothills of the Swartberg Mountain Range only 12 minutes drive from the Cango Caves. Kobus started dreaming about developing the Swartberg as a tourism attraction in 1969 when he was only 10 years old.